Bring the tropics home with this custom design. 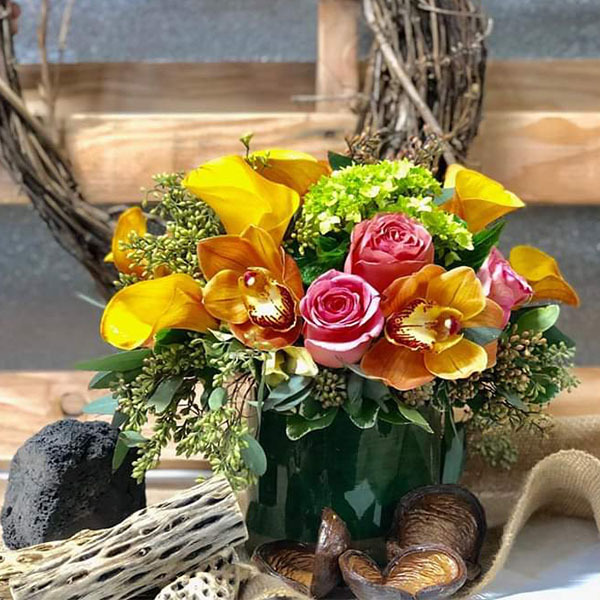 Sunshine calla lilies and orange cymbidium orchids paired with pink roses and green mini hydrangea are the perfect mix of "Honey! I'm home!" and "let's run away together." Transform your kitchen island into the Isle of Love with Seaside Romance. Can you hear the waves from here?